A child’s oral health must be protected from birth through adolescence and into adulthood. Unfortunately, many children develop tooth decay early in life – a condition that can progress into serious oral health problems. Keeping a child’s teeth strong and healthy requires preventative measures. At our pediatric dental practice, prevention is the foundation of all we do. After all, it is far easier and more affordable to avoid oral disease than it is to treat it. that most children do not get the preventive dental care that is recommended for them? According to the Department of Health and Human Services, only half of U.S. children visit a dentist for preventive purposes each year. Of those who do, children under age 5 are least likely to see a dentist compared to older children over age 6. But early childhood prevention is important for establishing a healthy mouth that lasts a lifetime. When should preventative dentistry start for my child? Prevention begins early. A mother’s diet while pregnant will contribute to a child’s developing primary teeth in the womb. After birth, parents should cleanse a baby’s gums and begin brushing the teeth gently as they emerge. 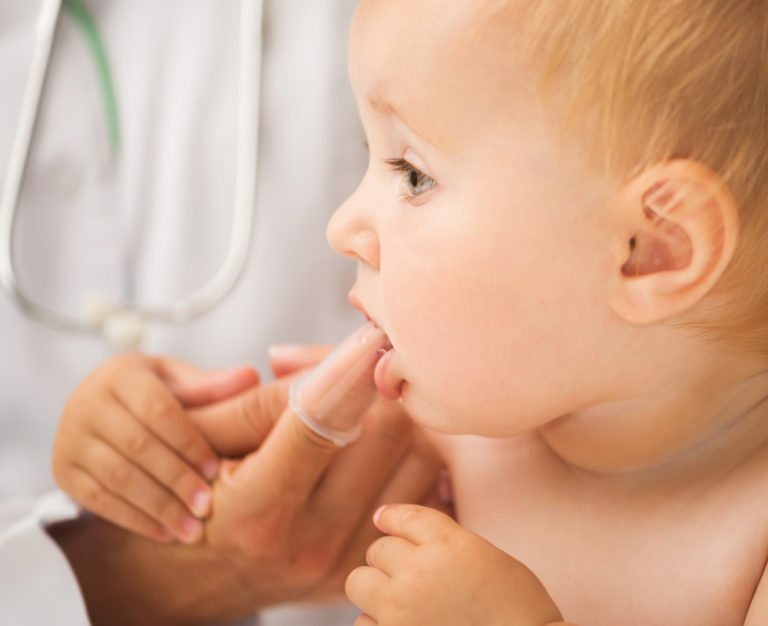 Infants should visit a pediatric dentist for a preventive care exam no later than age one. Besides brushing, what else can be done to prevent early childhood caries? Diet plays an important role in a child’s dental health. Sugar feeds the bacteria responsible for tooth decay and gum disease. Limiting foods and beverages containing sugar deters cavities and helps protect the enamel. Avoid giving your child sugary juices, candies and sodas, and never let your child go to bed with a bottle. What can my child’s pediatric dentist do to prevent decay? Depending on your child’s age, oral health and risk factors, a pediatric dentist may recommend in-office preventive treatments to help stave off tooth decay. For example, fluoride treatments may help strengthen the teeth – especially in children with low exposure to fluoride in local water sources. Another option is dental sealants, which are placed on newly erupted permanent molars to fill in pits and crevices that are susceptible to decay. As your child grows and becomes more active, his or her dentist may recommend the use of a sports mouth guard when participating in contact sports like soccer or gymnastics.